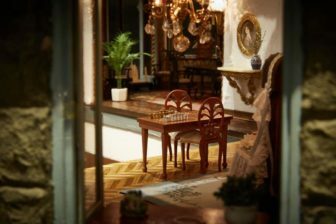 Astolat Castle: the $ 8.5 Million Dollhouse 5 out of 5 based on 3 ratings. 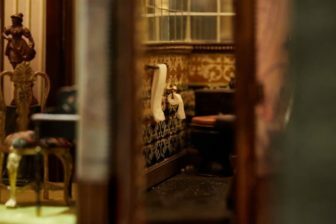 3 user reviews. 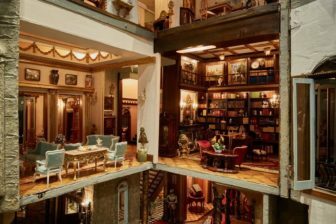 Seven floors, 29 rooms, a chapel, an observatory, a wine cellar, a weapons room, a ballroom and a dovecote. 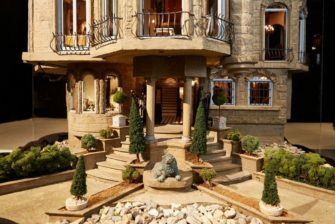 No wonder why this extravagant home has an appraised value of more than $288,000 per square foot. 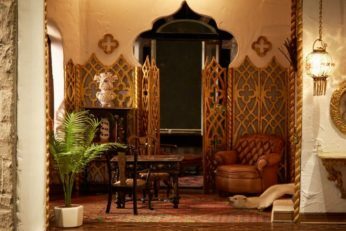 Except that this small cozy nest is not a traditional abode but a 9 feet tall (2.7 meters) miniature called the Astolat Dollhouse Castle. 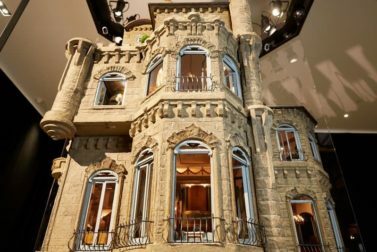 With an estimated price tag of $ 8.5 million (€ 7.9 million), the Astolat Dollhouse Castle is the world’s most expensive dollhouse. 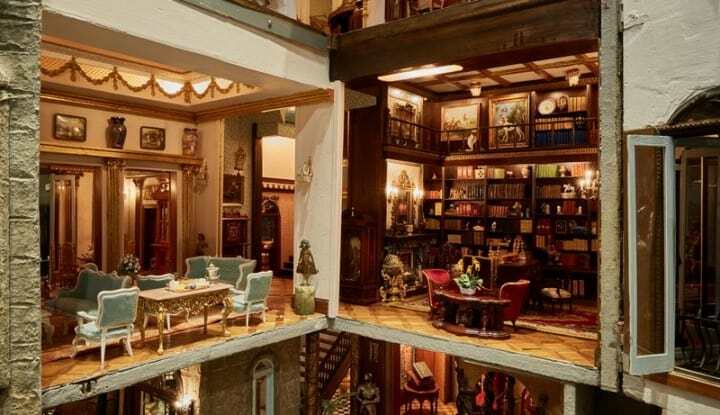 This little marvel decorated with more than 10,000 teeny-tiny items (in addition to the collection of 30,000 items that rotate through the house on an ongoing basis), was built between 1974 and 1980 by artist Elaine Diehl. 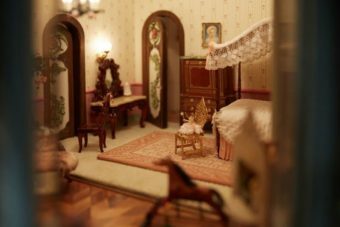 She fully furnished the dollhouse with paintings, mirrors, wooden floors, marble bathrooms, gold chandelier and hundreds of other tiny details like hand-stitched tapestries, vases in real lapis lazuli, and replicas of 18th-century oil paintings. 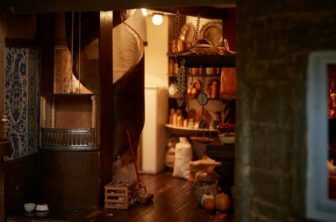 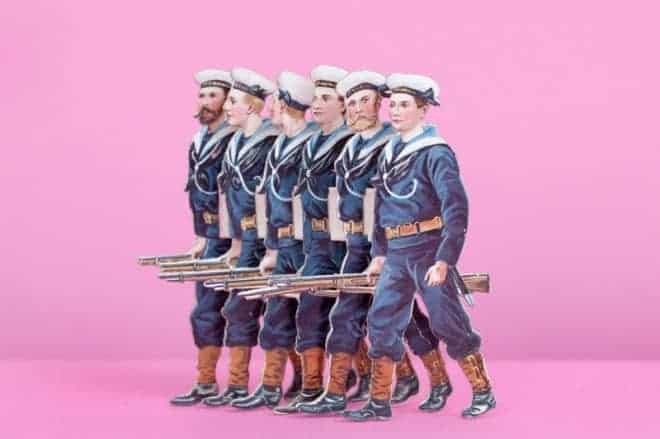 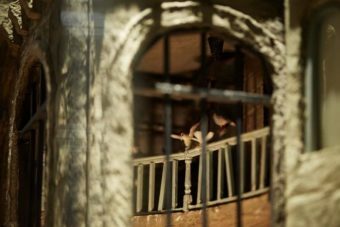 The first dollhouses date back to the 17th century, when they were seen not as child’s toys but displays of fine craftsmanship. 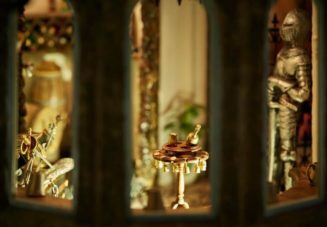 They were generally acquired by wealthy families in France, Germany, Holland, and England. 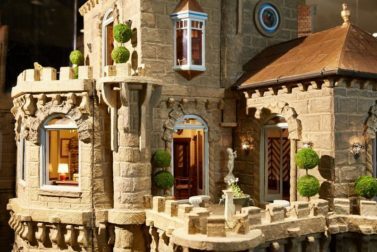 The Astolat Dollhouse Castle was sold in 1996 to a couple from Long Island: Michael and Lois Freeman. 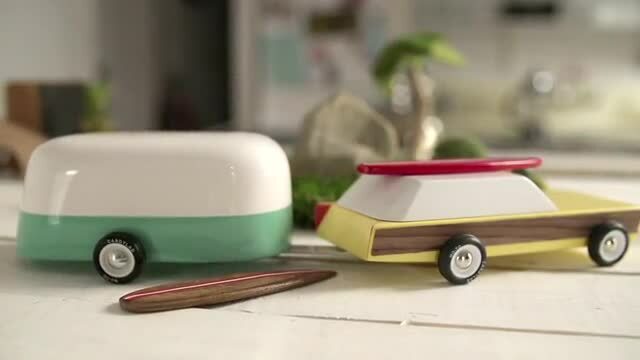 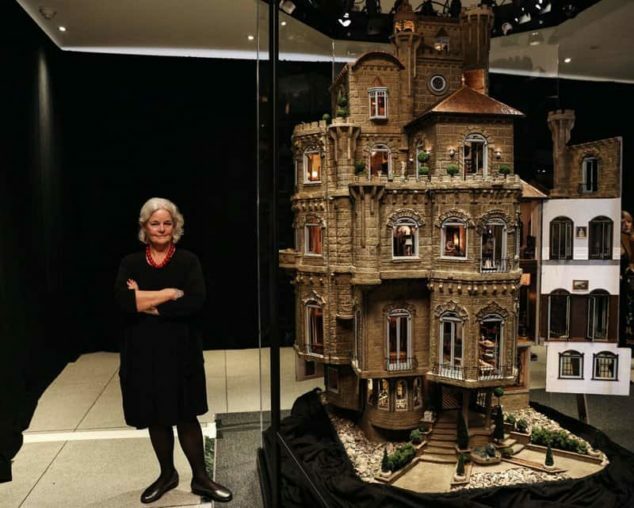 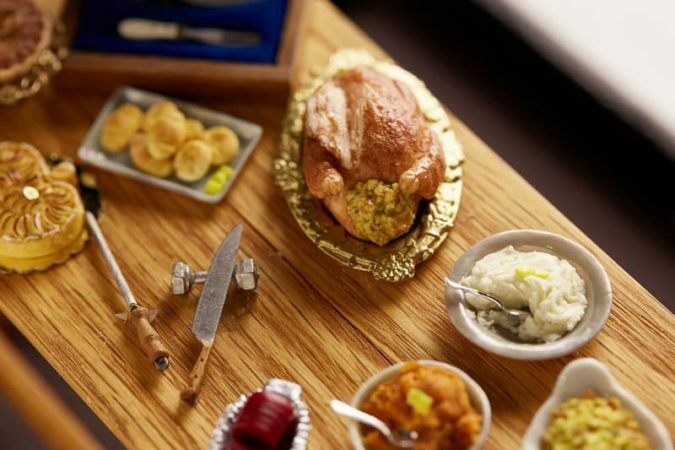 The Freeman, whose grandson is autistic, will be exhibiting their dollhouse for the first time ever since being built in the 1980s, at the Shops at Columbus Circle (Manhattan’s Time Warner Center), Thursday through Dec. 8 2015. 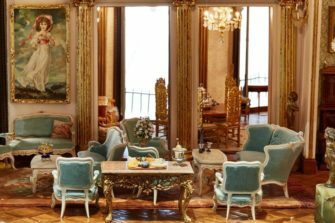 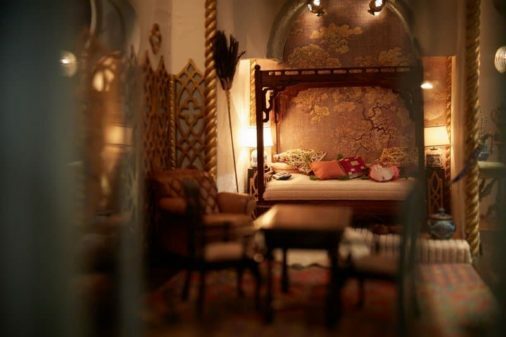 At $288,000 per square foot, the Astolat Dollhouse Castle could make most luxurious apartments in Midtown Manhattan and SoHo, feel like a good bargain. 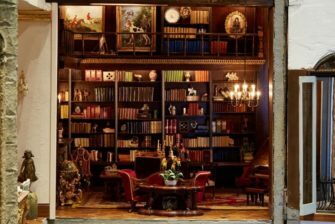 The library of the Astolat Dollhouse Castle contains tiny books with tiny letters that can be read under a magnifying glass. 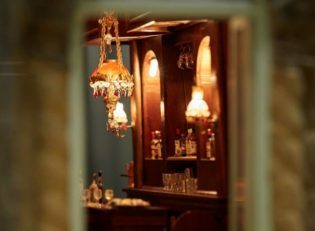 The bottles in the castle’s bar contain real liquor. 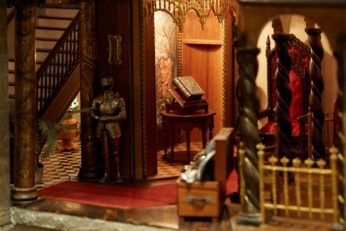 The dumbwaiter located in the kitchen of the Astolat Dollhouse Castle is said to be in working order. 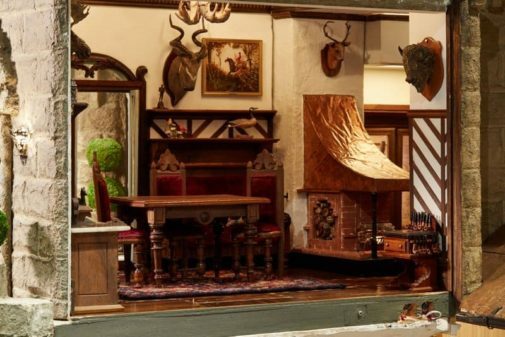 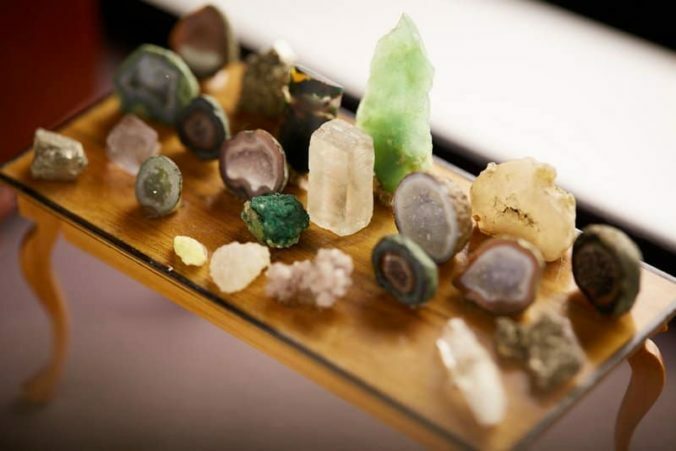 The living room of the Astolat Dollhouse Castle features a miniature rock collection and tiny taxidermy.